The place i have been arrested most in the United States is at the gates of the Vermont Yankee Nuclear Power Plant which is basically at the place where Massachusetts, Vermont and New Hampshire share a single point. Starting in 1999, i made the regular summer pilgrimage to Brattleboro and working with the lovely folks from CAN. CAN (which stands for Citizens Awareness Network) also hosts one of the most popular Facebook group pages. 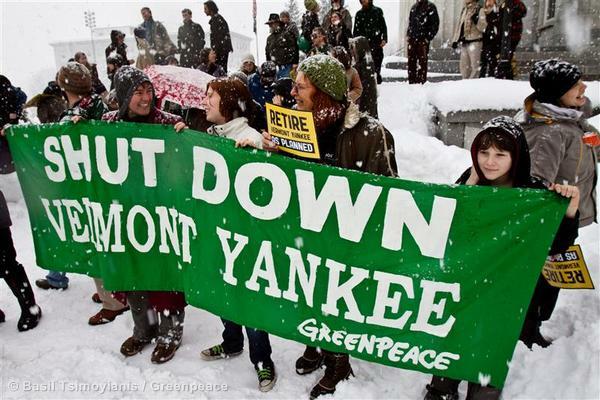 The above pictures are just part of the incredible story which is the Vermont Yankee saga. What this successful campaign also shows is the determination of the local, national and international groups to shut this reactor down. And tragically how the system has been set up very intentionally so that almost nothing can close these reactors. 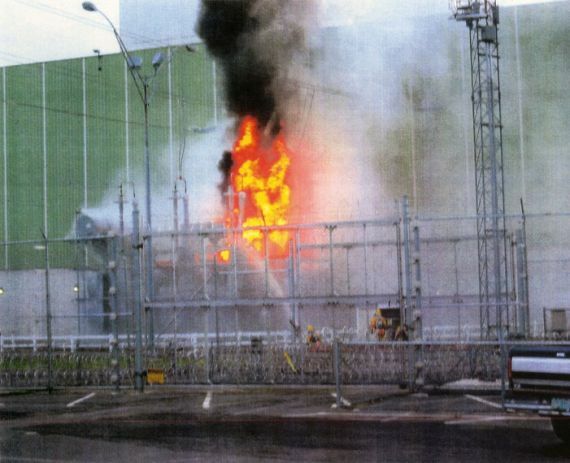 For starters, VT Yankee was a bit of a mess as reactors go. These dramatic pictures are really just lucky shots. Because they are so close to the outside of the building someone was lucky enough to capture them on film. What is harder to capture is the endless series of lies Entergy told the state of Vermont about this reactor complex. My favorite lie was when Entergy officials under oath said that there were no underground pipes carrying radioactive fluids, when in fact these pipes clearly do exist and are the most likely source of the current tritium leaks around the plant. Lawyers would come back and split hairs about here being no “underground” pipes, only “buried” ones carrying exactly this radioactive fluid. 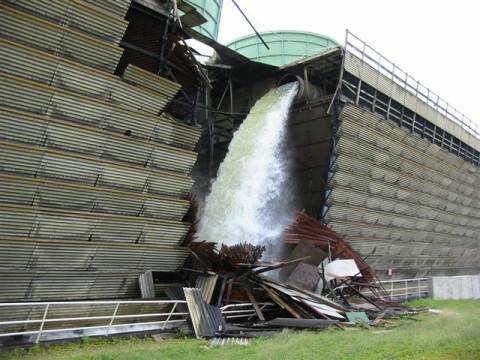 But this incident, the 2010 loss of radioactive fuel rods, the 2004 transformer fire, the 2007 cooling tower leak, on-going and worsening tritium leaks, plus the Vermont state senate vote of 24 to 6 in 2010 to close the reactor in 2012 at the end of its design life. What was true is that the legislature and state governor are powerless to over rule these reactor decisions of the Federal Nuclear Regulatory agency. Just two weeks back, despite endless problems with the plant, the NRC gave then approval for this plant to run an additional 20 years beyond its original permit, despite state appeals. In the end, after spending millions in legal fees to stay open, Entergy could not make the economics of the reactor work. Like the Kewaunee reactors in Wisconsin, which also won a 20 year relicencing battle, it was ultimately nuclears failed economics that knocked the project out of the ring. By the 4th quarter of next year there will be (at a maximum) only be 99 operating commercial reactors in the US. The much hyped “nuclear Renaissance” is over and we are now looking at the “nuclear dark ages”.